Do good by your skin, body & mind! A face massage using the jade healing stone can free you from built up stress and lend the complexion a glowing appearance. Jade is said to counteract inflammation due to its cleaning properties and ability to regulate the balance between the acids and bases in the body. 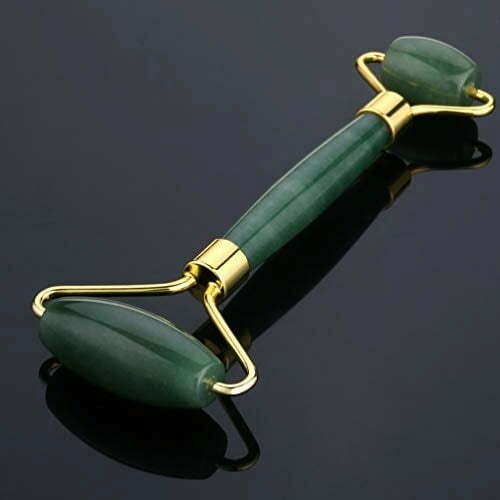 The lymphatic system is stimulated and toxins released as a result of a Gua Sha and jade roller massage. Elastin and collagen formation is promoted through daily massages. Thus, the skin appears brighter and rejuvenated while expression lines are smoothed over. Even the self-healing properties of the skin are activated that adds to a rosier and relaxed complexion. 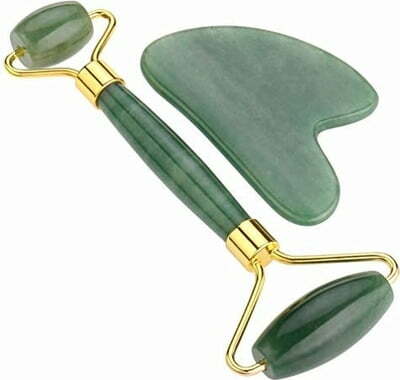 Because the beauty tool is made from natural stones, negative skin reactions are kept at a minimum.